The Borg Queen searched tenaciously for the interlink frequency connecting the errant drones of Unimatrix Zero. Analyzing those she had discovered brought her closer to finding them all. Plays on table. 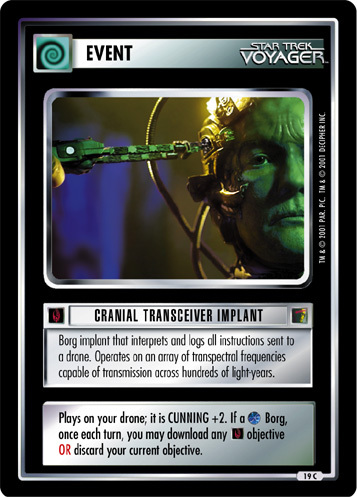 Once each turn, you may discard a or drone from hand or in play to draw one card (or two if drone was present with your Borg Queen).